October 24, 2006. posted by Jyoti. . These are all the little rambling bits I do for each release. Click the links below for the relevant meanderings. May 28, 2005. posted by admin. . I was born in Rourkela, India in 1966, on the 30th July which is probably more famous for being that World Cup… We moved to Britain when I was about three and I started playing keyboards when I was 12. 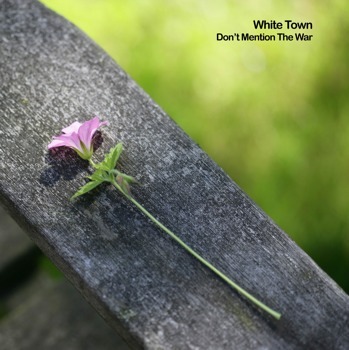 I formed White Town in 1989 after seeing a brill Pixies gig in late ’88. My reasoning was that Black Francis was a porker and could get away with playing noisy pop music so maybe I could as well? I still couldn’t play the guitar but I didn’t let that stop me and booked a load of gigs before I’d roped in other band members on drums, guitar and bass. The third gig we had was in July ’89 when we supported Primal Scream at the Dial in Derby (during their ‘Ivy, Ivy’ glam-rock phase). Other supports followed with the Cateran, The Family Cat, and twice with tetchy bastards the Sea Urchins. In 1990 I went on the Enterprise Allowance scheme and bought out my debut single on my old label Satya Records (satya means truth in Sanskrit). 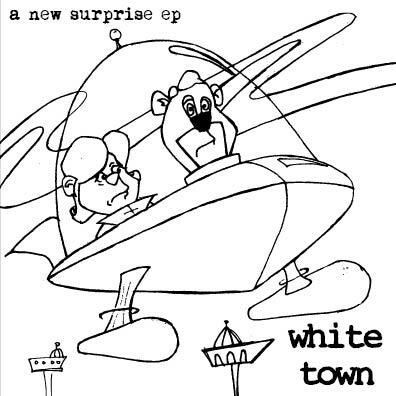 As White Town had become quite popular on the fanzine scene, we got a flexi put out (by the infamous Steve Biscuit) and then attracted the interest of Parasol. Parasol was formed by Geoff Merrit, an ex-college buddy of Ric Menck’s and part of the same scene as Bus Stop, Slumberland and Summershine. Around this time, the rest of the band started leaving and it ended up being me on my own again. I kept on recording my own White Town stuff as well as producing other artists. As you can see, I was pretty firmly ensconced in the anorak underground. After releasing my debut album ‘Socialism, Sexism and Sexuality’ through Parasol in 1994, I was fed-up with playing the guitar and trying to re-create a guitar band sound on my own. I started moving more into a sample-based synthy direction. This eventually lead to the ‘Abort, Retry, Fail?’ EP that featured ‘Your Woman’ as the lead track. In 1996, I was DJing in Derby and tested out ‘Your Woman’ on the audiences. They seemed to love it. When I mentioned this to my then girlfriend (now my wife), she said that I should send it off to some more labels and DJs. Well, I was skeptical to say the least. I’d long since given up on sending any of my music to radio stations or big labels but I thought, ‘what the hell.’ And we sent off five copies. One of those copies landed on the desk of (then) BBC Radio One DJ Mark Radcliffe. Apparently, his eye was attracted to it by the totally rubbish cover I’d done 🙂 He gave it a listen and loved it. Sooo… I got back from University one day to my girlfriend excitedly chirping that a Radio One producer had phoned and they were going to play my single. That was October 1996. Pretty much as soon as Mark started playing ‘Your Woman’ (this was on his evening show, 10-12), he got requests for it. The song just blew up! Then Mark and his man-wife Lard got to cover when a breakfast show DJ was away. The song got even huger and my phone started ringing continuously. One of the calls was from a bloke who claimed to know David Bowie personally. I thought someone was pulling my leg but it turned out to be true. That bloke was Neil Ferris and he was determined that ‘Your Woman’ should be a huge hit. Well, after a heated bidding war, I signed to EMI / Chrysalis in late 1996 and ‘Your Woman’ came out in 1997 and was number one in the UK on January 7th. It went on to be number one in at least eight different countries I know of (Spain twice, apparently). The single went gold in Britain and the album it was from, ‘Women In Technology,’ went on to sell more than 47,000 copies in the UK and over 450,000 copies in North America (I haven’t got official figures for elsewhere). Since then, I’ve carried on pretty much as I did before that huge, life-changing hit. I didn’t like being briefly famous so I don’t miss it at all. You don’t appreciate the luxury of anonymity till it’s taken from you. Being able to saunter around town and flick through records without any hassle is worth more than any benefits fame can bring. And now I have the funds to continue making the music I want to with no commercial constraints at all. I doubt I’ll ever be in the pop charts again but who knows? Jyoti Mishra and his first single, “Your Woman”, from a record called “Abort, Retry, Fail?”, went straight into the British music charts at number one (only the fourth debut single ever to do so). Mr Mishra’s story is one of persistence. Even the government can take a smidgen of the credit for his success. Unlike the well-established artists he deposed, he earned his chart hit the hard way after toiling for years in obscurity. Performing under the name of White Town, he launched his hit song without the help of a big record label. “Abort, Retry, Fail?”, named after the error message given by computers, was recorded in his home on second-hand equipment.Chrysalis, his current record company, signed him only after a British radio station had begun playing “Your Woman”. Now 30, Mr Mishra has barelyworked since leaving school in 1982. A brief stint on the government’s Enterprise Allowance Scheme, a programme to help the unemployed which has since been phased out, helped him to set up his own record label, Satya Records, and to keep recording. because, among other things, its minions were unpleasant to a friend of his. “If success means that I have to turn into an insensitive megalomaniac, then I’d rather never be in the charts at all.” Geek idealism. June 27, 2004. posted by Keyvan. Reviews.